If you need to create a new access for vehicles to your home, and it involves crossing an existing pavement or footway, you must have a dropped kerb. Otherwise, if you drive across the footpath, the local Council may pursue you for the cost of any damage to the footpath and kerb, and others (such as telecom, electricity or water companies) may ask you to compensate them if their underground services are damaged. In any case, crossing the footway with a vehicle at a place where the crossing hasn’t been approved by the highways authority, or no crossing exists, is against the law. There are a few things to bear in mind if you want a dropped kerb, so here’s our quick guide to what may be involved. For an average driveway, you’ll probably want to lower five kerb sections. You’ll need to obtain permission from your local Council as highway authority, assuming that the Council owns the road and footpath. If the road outside the property is a trunk road, a principal road or a classified road (class A, B or C), you’ll also need planning permission. You can check the status of the road by phoning your local Council’s roads or highways department. Your local planning department can tell you how to apply for planning permission (if you need it); you’ll have to submit drawings of what you propose, including a good-quality Ordnance Survey location plan and block plan showing your dropped kerb. The Council might decide not to grant permission, either as a roads authority or planning authority, or both. Reasons for refusing permission could include proximity to a road junction, bend or traffic lights. There may be insufficient visibility to allow safe use of the pavement crossing. There might be obstacles, such as a tree or street furniture, in the way. The Council will also need to be satisfied that there’s enough space in the garden to create a sufficiently large parking space. The car or light goods vehicle mustn’t overhang the footpath when it’s parked, and any gates must not open over the pavement. Some Councils state minimum lengths for the space, perhaps 4.5m or 6m. The Council will want you to use a porous surface for any hardstanding, to avoid increasing the surface water load on the drainage system. They may insist that a section of paving or blocks is laid behind the pavement to reduce the risk that – if you’re surfacing the hardstanding with gravel – the gravel doesn’t escape onto the pavement. If you are refused planning permission, you can appeal. Depending on where you live in the UK, this may take the form of a hearing by a local committee, or the lodging of your appeal with the Planning Inspectorate. You can ask the local Planning Department to explain the procedure that applies in your area. Many local Councils will undertake the work themselves, but you’ll have to pay for it. Some Councils don’t allow private contractors to do the work, but – where use of a private contractor is allowed – the work must meet the Council’s specification. The contractor’s quotation must also cover the cost of any work needed to protect underground services. If the work is to be done by the Council, you may be able to find out the cost on their website. Costs vary, depending on where you live. For example, one Council quotes a price of £653 for dropping five kerb sections on a footpath that’s less than 2 metres wide. Another Council has a fixed price of £1,620 for any single crossing, and charges an inspection fee of £330 if the work is done by a private contractor. There may also be a fee to pay for any initial inspection and quotation. If you need to apply for planning permission, the usual fees will need to be paid. Finally, people sometimes wonder if the section of footpath that they’ve paid to have altered belongs to them. It doesn’t: the Council still owns it! To find out more about the procedure in your local area, you can enter a search term such as ‘dropped kerb Hounslow’ or ‘dropped kerb Glasgow’ into a search engine. Many Councils have detailed guidance notes and application forms available online. Great news. BuyAPlan has been selected as 1 of 3 'Approved Site Location Plan Suppliers' (also called planning maps) on the Planning Portal (see us on the site here), the official site for planning submissions in the UK. The scale of the plan, as surveyed by the Ordnance Survey. Ordnance Survey sourced mapping which is regularly updated. You can add the red or blue lines onto your plan using the site without needing other software. Working from home: what are the rules? Over the past few years, thereís been a dramatic expansion of self-employment in Britain. The number of people who are working for themselves is now edging close to 5 million. Partly, it may be a response to the slimming down of staff in business or the public sector; but some people simply like the idea of working from home. Apart from being more cost-effective than hiring an office or studio somewhere else, it can also be easy to combine work with family life, because to some extent you can adjust your working time around other commitments. So, spare bedrooms have become offices; but that may raise the question of whether planning permission is needed. In some cases, it might be. However, there is a long-standing convention that itís OK to base your business at home, subject to some basic requirements being met. The most fundamental one is that the primary purpose of the house must still be domestic. If your work occupies just one room, or possibly a shed in the garden, and the rest of the house remains in wholly residential use, then itís very unlikely that any planning authority would challenge you. On the other hand, to take an extreme example, if your workplace expanded so much that your four-bedroom ëhouseí actually contained just a bed-sitting room and a kitchen, theyíd certainly argue that the primary purpose of the house was no longer residential. The extent of business use is therefore one criterion that the planning authority may consider. But there are others, and they could arise even if, physically, the house is still overwhelmingly residential. Broadly, the considerations are about loss of amenity; in other words, will your activities result in any kind of undesirable impact on the neighbourhood? There are several aspects to consider here, though the effect of them all combined may be what counts. First, does the business generate noise? If youíre involved in any kind of activity that the neighbours might hear, such as metalworking or wood-working, youíd need to take steps to ensure that it wasnít audible outside your site, or at least was no more intrusive than normal hobby activity. Otherwise, if complaints arose, the planning authority would need to take an interest. Second, do customers call at the house? 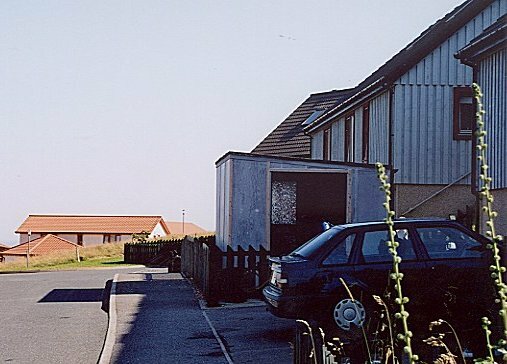 If the number of people calling is greater than might be expected at a family home, and especially if their comings and goings involve cars or (especially) vans or other vehicles, thereís a risk that neighbours or the planners will begin to feel that the character of the place has changed. Third, thereís the question of visual limpact. If you store lots of materials or equipment outside, that again could give people the impression that this is no longer a house, but a small industrial unit. In the end, as in so many matters to do with planning, the decision as to whether you need planning permission or not will come down to a professional judgement, sometimes quite a fine one. 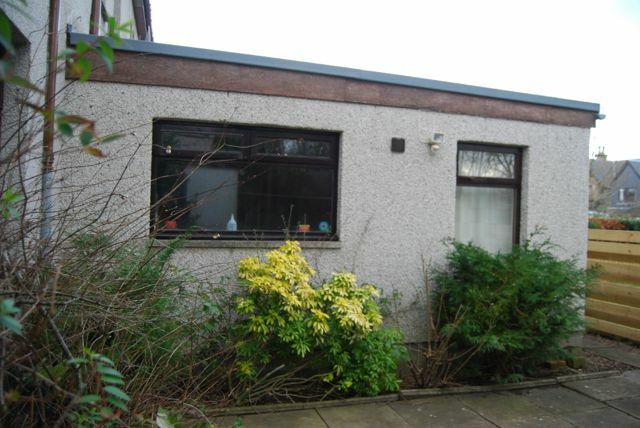 If youíre close to the threshold, it will obviously be prudent to ensure that what youíre doing doesnít disturb the neighbours or change the appearance of the neighbourhood, because getting planning permission once youíve crossed that invisible line could be quite difficult: understandably, people want their surroundings to remain peaceful and attractive. Letís briefly consider a few examples of businesses that might and might not raise planning issues. In every case, the assumption is that only one room in the house, or possibly a shed or outhouse in the garden, is used. Businesses that are less likely to cause problems include a lot of computer-based or online activity, for example writing or journalism, other creative tasks such as graphic design or painting or small-scale craft activity. Businesses that do involve some additional activity may be acceptable, provided the numbers of callers at the house is not excessive. That might include a small photographic business which two or three clients per day visit. However, if your garden becomes the prime venue in the county for wedding photography, things would not be so straightforward. Provided that they didnít generate significant noise and disturbance, craft or food businesses such as upholstery or cake-decoration would be unlikely to be problematic. The same is true of online selling, as long as almost everything was done by mail order. This category also usually includes small bed-and-breakfast businesses; for example, if you have a four- or five-bedroom house and use one or two rooms for guests, thatís not usually a problem, though planning authorities do differ in their approach. At the difficult end of the spectrum, it would be hard to succeed with, say, a taxi business involving two or more cars, a panel-beating and paint-spraying workshop or a motorcycle repair business. Theoretically, you could probably run these from a double garage, but the chances of upsetting everyone around you would be very high; and the same might well apply if four of your five bedrooms are let out. Much of this, like so much else in planning, comes down to common sense. If your impact is low or negligible, youíre unlikely to have problems. If it turns out that you do need to apply for planning permission, then youíll need a location plan and block or site plan, and you can buy these on this site; we also have advice on requirements when it comes to buying planning maps. We're pleased to launch our black and white planning maps in response to customer demand, particularly from our professional customers. For a standard planning application there is no requirement to submit a colour or black and white plan, however certain customers told us it was their preference to purchase the former. So, as we're always looking to please, we've added the black and white plan option. Ordering is easy, just select the black and white options from the drop down on the preview page as shown below. The PDF option is fine for printing and for planning applications and the PNG format is suited to embedding in presentations / reports, etc). In the following list, we have sought to bring together web addresses for every planning authority dealing with day-to-day development management in England, Wales and Scotland. There are two main exceptions. Firstly, for applications in England concerning minerals or waste, the planning authority you need may not be one of those authorities listed below, but instead may be a county council. However, the planning authorities listed below will be able to advise you how to proceed in such circumstances. Secondly, special arrangements may apply in areas which have been designated as Enterprise Zones or which have other special administrative arrangements. It is best to enquire locally about these. Many different kinds of local authorities have planning responsibilities and they organise their websites in many different ways. In England especially, the structure of local government is something of a patchwork, with several different kinds of authority providing planning services. This is reflected in websites: for example, the websites for district councils may sometimes be reached through, or be part of, the county’s website. On many councils’ websites, Planning is prominent on the council’s home page. In others, it may be found in areas of the website such as residents’ services, environment or business. To make life easier, we’ve tried to find the web address which will be most useful when you’re trying to find out about planning policies and procedures. This is usually a Planning ‘home page’; it will often offer a link to building control and sometimes there will be links to other relevant topics such as land charges. Finally, councils’ websites change quite frequently and although we’ve checked the sites carefully, we can’t be certain that they will remain unaltered. Indeed, one or two were in the process of redesign when we complied the list. Finally, remember if you're needing a guaranteed compliant, fully licenced planning map for your planning application then start your search here. Our planning maps are also some of the least costly, with an extra 10% discount should you purchase two scales (normally a block plan and location plan. What’s A ‘Block Plan’ - And When Might I Need One? You may be asked to provide a ’block plan’ in connection with various legal or application processes, such as transfer of land or the making of a planning application. But what is a block plan? It’s a plan that shows the site and its immediate surroundings in detail. Block plans are typically at a scale of 1:500 or 1:200. A block plan enables whoever is dealing with your application or request to understand exactly where your site is. If they need to assess the implications of what you’re proposing to do, it assists them with that, too. However, some words of caution are needed. Firstly, the terms block plan and site plan are sometimes used interchangeably; and it’s true that in some cases, you may need only one plan to show both the immediate vicinity of the site (which is the main purpose of the block plan) and the details of the development that you propose for the site (the usual function of the site plan). However, in many circumstances, the site plan will be prepared by an architect or other professional and it will focus solely on the site itself, not its surroundings, and may be at a larger scale, perhaps 1:100 or 1:50. If so, it won’t work as a block plan. Secondly, and just to complete the picture, it’s best to assume that you’ll also need a separate location plan, probably at a scale of 1:1,250 or 1:2,500. You might not need one if the location is really easy to find on a 1:500 block plan, for example a site at the only crossroads in a small village. Let’s look at cases in which a block plan will definitely be needed. Then, we’ll have a look at some other situations in which it may or may not be required, depending on the circumstances. Planning applications are made in order to obtain permission for physical development (like building a house or extending a factory) or changing the use of land or buildings. In England, demolition in a Conservation Area needs planning permission. If you want to alter or extend a Listed Building, you’ll need Listed Building Consent. If your property is in a Conservation Area in Northern Ireland, Scotland or Wales and you want to demolish (or partially demolish) a building, you’ll need Conservation Area Consent. These may be made if (for example) you’re erecting or extending an agricultural building, changing the use of an office to residential, demolishing a building, or installing various kinds of renewable energy devices. The rules vary a little depending on where you live, so check with the planning department. Applications need to be made under the Building Regulations if you are proposing to undertake many forms of structural work (including new-build and alteration) or, in some cases, alter or extend electrical or heating systems. If you are making an application to register ownership or leasehold, or transfer land, any of the UK authorities involved need to be able to record the site on the Ordnance Survey plan. They will typically want a block plan at 1:500 scale but, for larger sites, a plan at 1:1,250 or 1:5,000 scale may be appropriate. It’s important to note, though, that such plans, based on Ordnance Survey plans, only show the general boundaries of the site; they can’t be relied on to indicate the precise extent of ownership that is shown on a deed plan. There’s some useful guidance here. If you need a new or additional supply of gas, electricity or water, you’ll need to follow an application process. Whether or not you need a block plan will depend on the circumstances and the company involved, so it’s best to ask them to explain their requirements. You’re most likely to need a block plan if you want a new connection to a previously undeveloped site. In any of these cases, it’s best to ask the supplier to clarify what they require. If you’re applying for certain kinds of licence, for example an Entertainments Licence, a Market Operator Licence or a Felling Licence, some authorities will require you to submit a block plan, typically at 1:500 scale. They may also need other plans, such as a location plan. Again, you should check the relevant authority’s website, or give them a call, to confirm what they require. Whatever your needs, we’re able to supply high-quality Ordnance Survey block plans at the scale you require, instantly and at the right price. Wherever you live in the UK, the government keeps a central record of land ownership. In England and Wales, the organisation doing this is the Land Registry. There is also a separate Land Registry in Northern Ireland. In Scotland, the work is done by the Registers of Scotland. We’ve used the term ‘land registration authority’ to cover all these in the rest of this article. The processes involved in land registration are similar, but there are variations in procedure and in the forms that you’ll require. Broadly speaking, you’ll need to register land or property if it hasn’t previously been registered and if you’ve bought it or acquired it as a gift, as part of an inheritance or in a land swap. In most parts of the UK, you must also register land if you’re taking out a mortgage. That said, though, the rules do vary; for example, registration of land received as a gift or as part of an exchange isn’t compulsory in Northern Ireland, nor does a mortgage trigger registration there. There are special rules about leasehold property. If the land or property is already registered, you must tell the land registration authority about any changes in ownership, for example if you want to enter into joint ownership with a partner or relative. Land registration offers many advantages. It guarantees title to the land, it ought to reduce the number of disputes about title and it should help speed up land and property transactions. Land that has been registered can be searched online. You can ask a solicitor to undertake all the work associated with land registration, or do it yourself. Your first step will usually be to find out whether the land is already registered. If it isn’t, you’ll need to fill in some forms and you will also have to supply a plan showing the land you wish to register, which should be outlined in red. Although it is sometimes possible to register land on the basis of only a verbal description, particularly where the existing deed plans are of good quality, it may be wiser to assume that any application, whether for first registration or transfer or for freehold, commonhold or lease, will proceed more quickly, and be less likely to be rejected, if good, clear plans are provided. That said, any application must contain a clear written description of the land, which should comprise the street name and number or house name; the floor level (for example, in a flatted development), the name of the locality, the name of the village, town or city; the name of the administrative area (essentially, the name of the local Council area); and of course the postcode. The kind of plan you submit with your application does depends on the circumstances. We strongly recommend that you read the detailed advice available online, especially the Land Registry’s Guidance for Preparing Plans for Land Registry Applications. It gives examples of the kinds of plan that are and are not acceptable for land registration purposes. It also makes clear that there can be pitfalls in using old plans, which may have been reduced in scale or may be unclear in other ways. It is crucial that any plan submitted for land registration contains ‘sufficient details, by plan or otherwise....so that the land can be identified clearly on the Ordnance Survey map’. The plan needs to be at a suitable scale and the scale should be clearly shown on the plan by a scale bar as well as numerically. Boundaries should not be drawn using thick pens or markers, since they won’t be sufficiently precise. The deed plan that shows the site in detail will also need to be capable of being related to the Ordnance Survey plan. It needs to show accurately the boundaries, buildings and access driveways. Measurements should be given in metres to two decimal places. Any hatching or colouring (for example, of boundaries) must correspond to the written description in the deed. The scale should allow all these details to be shown clearly; it should be at least 1:500 and in some cases (for example in very densely built areas, for very small areas of land or where a flat is involved) a scale of 1:200 may be needed. In England and Wales, most land is registered with ‘general boundaries’. In practice, this means that the registration is based on a suitable Ordnance Survey plan. However, there may be circumstances in which an Ordnance Survey may be inadequate. Maybe you have created a completely new boundary not shown on any Ordnance Survey plan, by dividing one large plot to form two smaller ones, or your site has previously been part of a larger field. Or perhaps a boundary has been in dispute, or titles conflict with one another, or the fence lines shown on the Ordnance Survey plan are not, in fact, the property boundaries. In cases such as these, you’ll need to commission a surveyor to produce an accurate plan and submit that to the land registration authority. Any such plan must, of course, satisfy all the other requirements mentioned earlier and, in particular, it must be possible to relate the plan to the Ordnance Survey map. You’ll also need to produce other evidence to back up the plan; for example, a written description of the line of the boundary and the agreement of neighbouring landowners. Most cases will be much more straightforward, though, and the Ordnance Survey maps we supply will be suitable for your land registration application. We can produce them at whatever scale you require. Genuine Ordnance Survey maps – the ones we sell. They’re the most detailed and up to date. At the appropriate scale: read on for some guidance about maps for different purposes. Clear: an Ordnance Survey map base will be perfect but make sure that when you add information, it’s also clear. Accurate: when adding details to the map, such as the position of a building or a new access, make sure they’re in exactly the right position. Up to date: Ordnance Survey maps are the most up-to date you can buy, but do check that any very recent development (such as a new house on an adjacent site) is accurately shown. The quantity you need: check the guidance notes that come with the planning application forms, but you’ll probably need at least four copies of everything for the planning submission and you’ll also want to have at least one or two extra copies, for example to show to neighbours. A location plan: this needs to be at an appropriate scale. Remember that the Planning Department and those the planners consult – such as the Parish or Community Council – need to be able to identify the site easily. For most developments in an urban area, a location plan at a scale of 1:1,250 should be fine. In a rural area, where they are no street names and perhaps very few landscape features, it will help to show a wider area using a 1:2,500 map. A block plan or site plan, which shows the site in more detail, including the position of whatever you propose to build; this will usually be at a scale of 1:500 or 1:200. If you’re building something, or altering an existing building, you’ll also need building plans, which might be at a scale of 1:100 or 1:50, in order to show the internal layout and external appearance of the building. As soon as you have some idea of what you want to do, have a word with your neighbours. Sound out their views and, as far as you can, take them into account. Have a word with the Planning Department at the earliest stage, too. Again, take advice from them. Be patient with the planning process. It’s there to make sure that the community’s views are heard and that development takes place in a way that’s appropriate and safe. Assessing these things does take time. Delays may arise which are beyond the control of the planners. The Planning Application Process can be slow, frustrating and sometimes expensive but one thing is a certainty, it's a roller coaster of emotions! To simplify things we at BuyAPlan.co.uk have created a handy guide to the planning process to hopefully give you a smoother ride. Good luck! How Do Planning Rules Affect Farmers? If you’re involved in agriculture, the planning system allows you to do quite a lot without planning permission, or you may need only to notify a proposal, rather than make a full application for planning permission. The legal position does vary a little across the UK, so this is only a general outline of the provisions. If you’re in any doubt, you should always check with your local planning authority. First of all, what do we mean by ‘agriculture’? Well, it includes the growing of crops, including cereals, fruit and vegetables. It also includes the keeping and breeding of livestock for the production of food, wool, skins or fur. Market gardens and plant nurseries are included too, and so are woodlands, but only if that use is ancillary to agricultural use – for example, a shelter belt. The planning system regulates ‘development’, which includes (among other things) building, mining or engineering operations and changes of use where they are ‘material’ – which means significant in planning terms. Some development – on farms and in many other settings - is automatically permitted by the planning rules, for example some smaller house extensions, whereas the rest needs to be approved by the planning authority. The first thing to note is that agricultural operations are not classed as development at all. In other words, you don’t need permission to plough your land, dig drainage ditches, plant a hedgerow or create a shelter belt. Nor does ‘development’ include the use of an existing building on agricultural land for agricultural purposes. However, a farmer may want to do things that are counted as ‘development’. But that doesn’t mean that you’ll always need to apply for planning permission. The kinds of development that farming involves fall into three broad categories. Firstly, there is what’s known as ‘permitted development’. This covers many minor building operations, including many fences and walls, smaller sheds and so on. It may be subject to certain conditions, for example concerning the building’s external appearance. It’s very important to note, though, that the extent to which you can benefit from permitted development may depend on the size of the holding or of individual parcels within it. In England and Wales, a unit of less than 0.4 hectare doesn’t benefit from any but the most basic permitted development rights. However, as the size of the holding increases to 1 hectare and then to 5 hectares, the range of permitted development rights increases. You also need to bear in mind that, at the most basic level, the development for which you’re claiming agricultural permitted development rights has to be ‘reasonably necessary’ for the purposes of agriculture. If the planning authority considers that what you propose isn’t ‘reasonably necessary’, they will ask you to apply for planning permission. The rules really are complicated, so do check with the planning authority. The second category of development doesn’t normally require a full-blown planning application, because it’s still a form of permitted development. However, you will need to notify the planning authority and allow them time to decide whether they want you to make a full application. This is known as ‘Prior Notification’. This category of development includes such things as larger buildings, the deposit of waste or certain excavations. Then there are those developments which don’t benefit from permitted development rights at all. Whether planning permission is needed also depends on such things as proximity to roads or houses. The construction of a house, whether or not it’s needed to house a farm family, always needs planning permission. Planning authorities have, over the years, taken action where alleged new barns were found to have picture windows and kitchen units, or where an illicit house was surrounded by straw bales see the case here. You’ll see from this it really is essential to check out what you want to do with the planning authority. Not only are the basic rules complex, but there may be local restrictions on development, too, and of course farmers are not exempt from the rules that apply to Listed Buildings, Sites of Special Scientific Interest and so on. If you need to submit a Prior Notification or a Planning Application, it’s absolutely vital that you submit proper planning maps with your application. You’ll need a location plan, which in a rural area could be at 1/2500 scale, and you will probably also need a block (or site) plan at a larger scale such as 1/500 or 1/200. What the planning authority expects are planning maps on a nice, clear, up to date Ordnance Survey base. Submitting anything else is likely to lead to confusion and delay, and the savings (if any) are likely to prove a false economy. There’s more about planning permission as it relates to farms on the gov.uk website, with links to more detailed information than we can provide here. The new rules also allow existing redundant agricultural buildings of 500 sq m or less to change to use within either Class A1 shops, Class A2 financial and professional services, Class A3 restaurants and cafes, Class B1 businesses, Class B8 storage and distribution, Class C1 hotels or Class D2 assembly and leisure. If there is a change of use of an agricultural building in reliance on this rule it shall be treated as having a sui generis use. The new rules do not allow conversion of agricultural buildings to residential use without the prior grant of planning permission. Michael Murton has worked as an Architectural Design and Technical Assistant over the years. Typical duties include preparation of the drawings and completion of the forms and Design and Access statements needed for Planning Applications, through to creating architectural concept models for large and small schemes for the design teams as their projects progress. Everyday Michael visits a Portuguese delicatessen and café in his neighbourhood and early in 2012 the owner asked him to draw up a scheme to extend the premises of his business and help him make a formal full planning application for the proposed changes. The premises at the time were a row of three former shops with very run down ‘shanty town’ rearward elevations, which were incapable of keeping out the weather and also encouraged break-ins. The café proprietor owned the freehold of two of the three shops and he was keen to develop these first, as they were in a particularly bad way. This would be done by unifying the external materials, the heights and depths of the existing structures as two storey buildings echoing the workman-like simplicity of many of the surrounding premises. The first thing that was needed was a clear Ordnance Survey plan showing where the boundaries of the three former shops actually were. Michael duly purchased a scale site location plan through www.BuyAPlan.co.uk which allows fast and easy selection of the optimum scale for the requirement at hand and to centre the exact sites whilst showing the surrounding context. The sites were tightly 'sandwiched' in amid other shops, a former public house, businesses and a car park. Michael was able to preview the site location plan on the web site at different scales prior to purchasing the optimum one for his needs. The plan scale was 1:1250 printed at A4, centred on the three shops, Nos. 32, 34 & 36 Norwich Road. The submission of a Plan is a planning requirement for the full application, and this plan in particular was useful as the whole area is made up from 19th century shops, houses and streets overlaying a former turnpike to Norwich passing through former orchards and gardens whose boundaries are still discernible amid the subsequent parceling up of the land. This makes a particularly 'busy' plan where the apparent boundary line chaos is made clear and simple to understand by the Ordnance Survey map. Michael submitted the application with the drawings and BuyAPlan™'s site location plan in March 2012 and after the expected reservations and proposed use enquiries from the local authority he was given full planning consent in September 2012, without conditions and an additional short paragraph stating why the local authority's planning committee approved of the scheme in the way that they did. We're proud to announce the launch of MapServe™ - a new mapping service for property professionals, architects, surveyors and planners. MapServe offers a straightforward way to obtain Ordnance Survey raster and vector mapping in DXF, PDF or PNG formats with more to come. Paying over the odds for mapping. Compare what you pay with your existing supplier versus MapServe™ and particularly for the larger plans you may be shocked. Some of our 1:2500 scale A3 plans are £30 cheaper than the market leaders. Over a year we could save you alot of money. See our price comparisons.. Needing training just to use your current mapping provider's site. We've made our service so simple and intuitive you don't need expensive and time consuming training. Inability to use your current mapping service using the Chrome browser. MapServe™ works across all modern browsers including the market leader, Google Chrome. No more plugin problems or having to use two browsers just to download your mapping. Not being able to preview before ordering. No problem. After taking a few seconds registering for a 'pay as you go' account or to 'pay on account', you can preview the area you need for free (up to a certain coverage). Sound interesting?. Start using MapServe™ right now. I Need To Remove A Tree - What's The Procedure? Trees are obviously an important part of the landscape or townscape and they’re important for wildlife, too. Occasionally, though, it may be necessary to remove a tree, or perhaps to remove branches. Some trees are protected by law. They may be covered by a Tree Preservation Order, which can refer to just one tree or to all the trees in a wooded area. Trees in Conservation Areas are automatically protected. Also, the felling of many trees, for example those in rural plantations, is controlled by the Forestry Commission, which issues felling licences; but that procedure doesn’t apply to trees in private gardens. If you want to fell or lop a tree that’s protected, your first step should be to discuss the problem with whoever at the local planning authority deals with protected trees. If the removal of the tree really is essential, you’ll need to obtain consent from the local planning authority, in almost all cases your local council. The procedure varies from council to council, but you’ll usually have to obtain an application form (often available online), fill it in and return it. Some planning authorities may accept an application by letter. You’ll need good-quality planning maps to illustrate what you propose to do: more of that in a moment. If the tree is in a Conservation Area, the council might decide that, instead of allowing it to be felled, they should make it subject to a Tree Preservation Order. It may take up to six weeks – and occasionally longer – for them to make that ruling, so you should never fell the tree without being clear as to the decision. If you’ve received nothing, you should contact the Council to find out what’s happening. If the tree is dead, your first step should be to give the planning authority at least five days’ notice of your intention to remove it. They will inspect the tree and, if they agree in writing that it’s dead, you can remove it without applying for consent, but you’ll need to plant a replacement tree. If a protected tree urgently needs to be either felled or lopped to prevent serious danger, perhaps after a storm, you can go ahead without consent. However, you need to be very sure that its removal really is urgently necessary: for example, can the ‘danger area’ be cordoned off instead? You’ll need to be able to demonstrate, for example by submitting photographs and the opinion of a qualified tree surgeon, that you really had no alternative. In such cases, if you can, it is always best to speak to someone at the planning authority, explain the problem and then confirm the details by email, letter or fax. If you’re applying for consent to remove trees, it’s very important that you make both the general location and exact position of the tree clear to the planning authority. The best way to do that is to include good-quality planning maps of the kind that we supply. They’re proper Ordnance Survey Plans by obtaining them from us you’ll ensure that they’re legal copies and are the most up-to-date available. It would be best to submit a location plan, typically at a scale of 1:2,500, and a site (or block) plan, which should ideally be at a scale or 1:200 or 1:500. We recommend that you liaise with the planning department at every stage. That way, you’ll stay on the right side of the law. Whether it’s because your family has grown or you simply need more space for daily living, extending your house can often be more attractive than moving, especially if you really like where you live. Depending on the circumstances, it may also be a more affordable option. If you’ve decided to extend, we hope these notes will help smooth your path, but you may also find some useful guidance in some of our earlier posts. One of the things we do emphasise is that you should take great care in putting together any application you make for planning permission. In particular, it’s essential to have the right planning application maps. However, the first thing you need to establish is what kinds of consents you may need. For any proper extension (as opposed to, say, a small garden shed) you’ll certainly need permission under the building regulations. These are entirely separate from the planning process. Building regulations are there to make sure that your new building or extension will be structurally sound, properly insulated and safe, among other things. You’ll need to get someone to prepare suitable drawings that show, for example, how the roof is constructed and how much insulation will be provided. Will you need planning permission? Well, it depends very much on the size and position of the extension. For example, as a rule of thumb, an extension the size of a single garage, situated to the rear of a detached house that has a spacious garden, with no existing sheds or previous extensions, and away from the boundary, may well be permitted development. But please don’t take our word for it: you really must check with the local council’s planning people. On the other hand, even the smallest extension on the front of the house (which in this context means between the house and the public road) is likely to need planning permission. The rules vary to some extent depending on where you are in the UK and there are special regulations if a Listed Building is involved or if you live in a Conservation Area. The long and short of it is that you really do need to consult your local planning department. As well as talking to the planners, don’t forget to keep your neighbours informed. You won’t want to cause them any difficulty, nor do you want to provoke objections, so talk your ideas over with them at the earliest opportunity and see what you can do to address any concerns they may have, for example about loss of privacy or light. Even simple changes, like repositioning a window, can make a difference. When it comes to submitting your planning application, we’d reiterate that it’s essential to include all the right plans. Apart from the detailed drawings of the extension itself, you’ll need a ‎location plan to make clear to the planning department exactly where to find your house. It’ll probably need to be at a scale of 1:2,500 (better in rural areas with little development) or 1:1,250 (better in urban areas). You’ll also need a ‎site plan (sometimes called a block plan), probably at 1:200, which will show your house and garden and those immediately adjacent. Planning Departments may have specific requirements that we can’t cover here, so you should check. Plans must be up-to-date. If you’ve consulted the planning department, kept your neighbours in the loop and made sure that all the planning application plans that you’ve included are clear, Ordnance Survey ones, you’ll greatly improve the odds of getting your planning permission. Good luck! Free Ordnance Survey Planning Maps, Do They Exist? Along with other certainties in life like death and taxes etc, planning maps do cost money no matter who you approach. This is due to the detail of the mapping required for a planning application - it needs to show property boundaries and be up to date. Free mapping like that shown on Google maps and the like unfortunately don't cut the mustard in this regard. To give the Ordnance Survey their due, keeping a nationwide map as detailed as they provide and that we use in our planning maps, is a massive, labour intensive undertaking..and therefore costly. So paying from just £9 for the privilege should perhaps be viewed as a bargain! Our prices for our Ordnance Survey planning maps is here. Most planning applications are approved. However, some aren’t, or – if they are – have stringent conditions attached that the applicant thinks are unreasonable. It’s in those circumstances that you have the option of appealing. At the outset, it’s important to understand that only the original applicant can appeal. Nor is there any right of appeal by third parties against the approval of planning permission; for example, if your neighbour disagrees with the planning authority’s decision to allow your house extension, he or she cannot appeal against that decision. In rare cases, they might be able to construct a case for a judicial review; but that’s very rare, at least in relation to minor developments. The rules and procedures vary a little between England, Wales, Scotland and Northern Ireland, but the basic principles are the same. If the planning authority has taken a decision to refuse planning permission, or if one (or more) of the planning conditions attached to an approval is unacceptable to you, the applicant, you can appeal. Appeals are also possible in other circumstances; for example, you might want to appeal against an Enforcement Notice, or against the refusal of Listed Building Consent. We’re talking here about the position after the Local Planning Authority (in most cases, the local Council) has made its final decision. That may follow some kind of local review or hearing, at which the applicant and objectors will have been able to have their say. The appeals system is not a local function: you’ll be dealing with a central government agency. Should you appeal? That’s a decision only you can make, and you should certainly take appropriate advice from whichever professional(s) are most relevant to your case. If you employed a planning consultant, an engineer, an architect or a surveyor to prepare and submit your planning application, they may be able to help you through the appeal. However, it may also be helpful to seek a second opinion about your chances of success from a professional planning consultant (someone who is a member of the Royal Town Planning Institute or a member of the Royal Institution of Chartered Surveyors (Planning and Development Group)). If they know the local area and are familiar with local planning policy, they should be able to give you an indication of the strength of your case. If you prepared and submitted the planning application yourself, you may feel that you want to deal with the appeal on your own, but if you need advice you can readily obtain it, either from a planning consultant or, perhaps, from another specialist. For example, if the refusal is on the grounds of road safety, it could be helpful to speak to a traffic or roads engineer. After listening to these specialists, you might decide that there is no realistic chance of gaining permission for your original proposal. You might then decide either to modify the proposal (taking advice from your local planning department) or to abandon it altogether. There’s something you should bear in mind if you are thinking of appealing against a planning condition that you think is unacceptable. When you submit the appeal, the person who considers it (in Scotland a Reporter, elsewhere an Inspector) is entitled to consider not just the condition that you’ve appealed against, but the whole planning permission. If he or she decides that the proposal as a whole should not be granted planning permission, with or without the condition you didn’t find acceptable, the outcome might be a refusal. If you have the feeling (perhaps from the Council planning officer’s report, or from the debate among councillors at the planning committee) that the decision to grant permission was finely balanced, you’d be wise to think twice before putting the whole permission at risk in that way. It may, in other words, be safer to accept a condition that you don’t like. Right: let’s assume that you’ve decided that you really do want to appeal. What happens next? First of all, don’t delay: you only have six months to lodge the appeal. You should begin by visiting the websites of the relevant appeal authority: in England and Wales, that’s the Planning Inspectorate (though there is a separate section dealing with Wales); in Scotland it’s The Directorate for Planning and Environmental Appeals (DPEA) and in Northern Ireland it’s the Planning Appeals Commission. Find out exactly how you should lodge the appeal and what the detailed procedure will be thereafter. You’ll be able to download the documents you require and you’ll then need to fill them in, stating your grounds of appeal, and submit them. You should then receive an acknowledgement. The Inspector or Reporter will consider your appeal and will need to decide how best to deal with it. All appeals are dealt with – at least initially – in one of two ways. Most are handled under the ‘written representations’ procedure but a few are the subject of a local hearing or inquiry. Under the written representations procedure, the Inspector or Reporter will review all the documents and will make a visit to the site to assess the situation on the ground. The site visit will normally be ‘accompanied’, in other words, the Inspector or Reporter will invite interested parties to be present when he or she examines the site. The interested parties will include the applicant, any objector and a representative of the local planning authority. However, it’s important to understand that the Inspector or Reporter will not want to hear arguments for or against the proposal; this is not an outdoor hearing. He or she is likely to ask those present to point out the features of the site – for example, the route of a right of way, or the exact position of a proposed access road – but is quite likely to walk away if anyone tries to go into persuasive mode. The aim is simply to ensure that the Inspector or Reporter has a thorough understanding of the site. If the proposal is large or complex, or if there are many objections, a public hearing or inquiry many be held. If your proposal is subject to an inquiry, you’d be well advised to take suitable professional advice about presenting your case. Hearings are relatively informal, and you may feel comfortable about putting your proposals forward on you own, or with the help of the architect or planner or engineer who prepared the drawings. A public inquiry is more formal in tone and the parties to it may be represented by solicitors or even barristers. Needless to say, such proceedings can be time-consuming and expensive. The length of time that an appeal takes varies according to the procedure that’s adopted; an appeal based on written representations might be determined in three months or so, whereas an appeal that involved a hearing or a public inquiry could take four to seven months and occasionally, if the case is especially complex, longer. When a decision has been made, you’ll normally receive a letter from the Inspector or Reporter, which will summarise the arguments for and against the proposed development, identify the issues on which the case turns, and set out the decision. In the largest or most controversial cases, the final decision may be made by the relevant planning minister. There is no further appeal against this, except on legal grounds: for example, if the Inspector or Reporter appears to have misinterpreted planning law. Except in very limited circumstances connected with Enforcement Notice appeals, there’s no fee payable in order to lodge an appeal. However, you might face some expense, for example if you need to obtain advice from a planning consultant, architect, solicitor or other professional. In rare cases, there is a possibility that costs might be awarded against you following a public inquiry, but if that happened, it would be because another party to the appeal has asked the Inspector or Reporter to agree with them that your approach to the inquiry has been in some way irresponsible, or has caused them unnecessary expense. However, the vast majority of appeals do not involve such risks. There is no guarantee of success in any appeal. However, you can improve your chances if you take adequate advice before you begin. It’s also important to ensure that all the documents you provided in relation to the original application, and any that you submit for the appeal, are as clear as they can be. Among other things, that includes getting the best quality maps you can, like the ones available from this website. What Does 1:1250 Scale Mean? Map scales can be confusing. When you see that a 1:1250 plan is needed, what sort of plan might that be? Let’s get back to basics on the question of scale. ‘Scale’ comes up in all sorts of ways: for instance, some of us may have built models from plastic kits, and these might be at a scale of, say, 1:20 or 1:500. That just means that the model of a car at 1:20 is one-twentieth of the size of the real car, or that a model of an ocean liner at 1:500 is one five-hundredth of the size of the real ship. In the same way, the scale of a plan refers to the way in which the plan represents what is on the ground in the real world. If a plan were at a scale of 1:10, it would mean that 1 metre on the plan represented 10 metres on the ground. Suppose that your kitchen is 5 metres long; on a plan drawn at 1:10, it would be a tenth of that size, in other words 0.5 metres long. If you were drawing a plan of a kitchen, a scale of 1:10 might be manageable, but when an architect draws a whole building, it’s necessary to use a smaller scale – which just means that the building appears smaller on the plan. A typical building drawing might be at 1:50 or 1:100, so that the building on the plan would be a fiftieth or a hundredth of its size in real life. When it comes to illustrating the whole site, or indicating where the site lies in relation to other buildings in the neighbourhood, we need to use a smaller scale still, otherwise the paper plan would be far too big to handle. Which brings us back to the question of a 1:1250 plan, a very commonly used scale for identifying the location of a development site. If a plan is at 1:1250, it means that a metre on the plan represents 1,250 metres on the ground. A centimetre on that plan would represent 12.5 metres on the ground. Smaller scales are possible, of course. For large sites, or sites in rural areas, you might want to use a plan at 1:2,500, which will show everything at half the size of a plan at 1:1250. Whatever scale of plan you need, we can supply properly-licensed, high-quality plans from Ordnance Survey. At scales smaller than 1:2500, we start to think in terms of maps rather than plans. Ordnance Survey produces maps at many scales, with 1:25,000 and 1:50,000 being very widely available. If you look in an atlas, you’ll find that some maps are at really small scales. For example, a double page map of North America might appear at a scale of 1:15,000,000. BuyAPlan offers Ordnance Survey 1:1250 scale plans via this site. Building Plans, Elevations and Sections: What You May Need. Depending on what sort of development you’re proposing, you’ll need various kinds of building drawings. If all you want to do at this stage is change the use of a piece of land, or a building, or you want planning permission ‘in principle’ or ‘in outline’, you won’t need a large number of plans. It’s best to check with the local planning department, but you’ll probably require just a location plan (typically at a scale of 1:2,500 or 1:1,250 and probably a site or block plan, most likely at 1:500 or 1:200. We can supply high-quality Ordnance Survey plans for these purposes. However, if you want to construct anything, or alter a building, you will need to submit drawings that illustrate, in detail, what you wish to do. You’ll almost certainly need both planning permission and approval under the building regulations, and it’s important to realise that these are entirely separate procedures. The drawings you’ll need for planning permission have to give the planning authority – and anyone else interested, such as neighbours – a clear picture of what the building will look like and how it will relate to its neighbours. Let’s think first about the position of the development on the site. A block plan (often called a site plan) will need to make clear exactly where the building will sit. However, if you’re planning to (say) change the use of part of an existing factory or office block, you’ll need plans that indicate exactly which parts of the building will be involved. In order to make clear the size and appearance of a new building, or explain the proposed alterations to an existing one, you’ll need at least two, and possibly three, kinds of building drawing for your planning application. These are called the building plan, the elevation and the section. The building plan is a bird’s eye view of the interior of the building, showing the arrangement of rooms, windows, doors and so on. A separate building plan is needed for each floor of the building, and it may also be necessary to include a roof plan, particularly if there are, say, dormer windows or ventilation outlets. The elevation is an accurate drawing of the side of the building. It lets everyone see what the building will look like from, say, the street, or neighbouring properties. For new buildings, you’ll need an elevation for each side, so you might have drawings marked ‘North Elevation’, ‘East Elevation’ and so on. If the project only involves change to one side of the building – such as a new shopfront – you’ll probably only need the drawing of that side. If you’re changing the use of only part of a building, it may be useful to use an elevation drawing to indicate which part of the building is affected: for instance, you might colour in the relevant part of the first floor that you want to turn into, say, an office. The section is a view that slices right through the building and, usually, the whole of the site. It can help those studying the drawings to understand how the building fits onto a slope. It is also quite usual for the planning department to ask for an accurate section that shows buildings on either side of your site, so that they (and the neighbours) can know what impact the building will have on nearby properties. For example, will the kitchen window on the first floor of your new building directly overlook the neighbour’s living room? The section can help to make that clear. If you’re applying for approval under the building regulations, you’ll need all of these plans. However, you’ll also be required to provide a lot more detail, so there may be additional sections showing, say, the foundations or the internal structure of the walls or the roof. These are needed to enable the building standards officer to be sure that the design is satisfactory from a technical point of view. Is an external timber finish proposed and, if so, is the building so close to another building that fire might spread? Is the amount of insulation in the walls adequate to meet current energy standards? These are the sorts of questions that the drawings must answer. Preparing all these drawings isn’t something that most people can do themselves, unless the project is very simple, such as the blocking up of a doorway. You’ll almost certainly need to employ someone to do the work for you. The choice is between draughtspeople with experience of this sort of work, or more specialist consultants such as architects or (depending on the nature of the project) perhaps an engineer or a surveyor. For a smaller, simpler job, a draughtsperson may be the right choice and they’ll usually charge a bit less than, say, an architect. However, the more substantial the project, the greater responsibility on the person preparing the plans, and the greater the risk or expense to you if he or she gets things wrong. Larger schemes really need to involve an architect or perhaps a civil or structural engineer. In some cases, you may need all of them, with one nominated as the lead. Architects in particular are trained to look at how the building will work for you and they will almost certainly be able to suggest ways in which you can make better use of the site and get more out of your investment. Indeed, some architects would say that they can save clients a great deal of money by designing smaller or more efficient buildings. It’s very important that whoever is designing the work discusses every aspect of the project with you, so that they can explore all the possibilities. If you are dealing with a Listed Building, or a building in a Conservation Area, it’s important to employ someone who understands the special rules that apply. Architects will usually be prepared to offer just the drawings, but they can provide a whole range of other services. For example, they can submit the planning application for you, get quotations from builders and indeed supervise the entire build. They can also act to help sort things out if you’re let down by a builder, and they are themselves insured in case anything they do goes wrong. Architects often charge a percentage of the cost of the project; however, you may be able to negotiate another arrangement. All of this may seem a bit daunting and, if so, you should make contact with a professional who can help you. You can do a web search for architects or architectural consultants, or find them in the phone book. You might also want to ask any friends or colleagues who’ve had building work done. They may well be able to recommend someone. I want to put up a sign or advertisement. Do I need permission? The law relating to advertising is one of the most complex areas of planning law. What’s more, most local planning authorities have their own policies, which in some cases involve limits on advertising that are more restrictive than normally apply, and there are also special rules in Conservation Areas, National Parks and so on. This article is therefore only intended to provide a broad indication of the circumstances in which you may need permission, known as ‘advertisement consent’. The advice we’ve offered here is based on the English legislation. There are some differences in other parts of the United Kingdom, but the basic principles are similar. The Department for Communities and Local Government’s guide, Outdoor Advertisements and Signs – a Guide for Advertisers (pdf) explains the English rules in more detail. The first thing to recognise is that any sign – anything with lettering or any kind of logo or device – counts as an advertisement. All advertisements fall into one of three categories, and consent is usually needed for advertisements in just one of these. Some advertisements – the ones in the first category - don’t fall within planning control at all, subject to certain conditions. Examples include road signs, price tags on, say, petrol pumps (subject to a size limit), national flags, advertisements inside premises such as shopping centres, election notices (for a limited period) or advertisements in or on anything that’s normally in motion, like a taxi, bus, train or ship. signs that identify premises, like numbers or house names, the kind of nameplates used by doctors or lawyers or a panel with the name of, say, a business, church or school. Temporary signs, for instance those put up by estate agents to advertise homes for sale, signs advertising auction sales, charity events or circuses, or signs used by builders or architects while a building is under construction. Signs on business premises, including forecourts, advertising the things that are sold, or services provided; this can include flags (other than national flags, which are allowed anyway). Signs on hoardings around building sites, for up to three years, but not in Conservation Areas or other protected areas such as National Parks. Advertisements which have previously had ‘express consent’ and which the local planning authority hasn’t challenged after five years; or advertisements on sites that have been used for advertising for ten years. It’s important to note that in virtually all of these cases, the ‘deemed consent’ is subject to many more restrictions than we can set out here. For example, nearly all these signs are subject to size limits and in many instances they can only be displayed in particular places on a building, or below a certain height. If you’re not sure whether or not what you propose will benefit from ‘deemed consent’, it’s essential to have a word with your local planning department, who can explain both the legal position and any local policies that may apply. Any advertisement that doesn’t fall within the ‘deemed consent’ limits will need express consent, and you’ll need to make an application to the local planning authority. Again, given that the rules are very complicated, it will always be a good idea to check your proposal with a planning officer. If you’re applying for consent, you’ll need location and site plans to indicate exactly where your proposed advertisement is to be positioned. As always, these plans need to be of good quality to that they leave no room for confusion. The best solution is to use the Ordnance Survey plans that you can buy on this site. I own or might buy a Listed Building: what do I need to know? There are around 556,000 Listed Buildings in the UK, so lots of people find themselves either living in one, running a business from one, or thinking about doing so. Although the usual planning rules apply – for example, the need for planning permission for many changes of uses, or for an extension – there are additional requirements that give Listed Buildings special protection. So, here’s our list of Frequently Asked Questions. It’s a building that is of ‘special architectural or historic interest’. It may be of interest simply because it is very old. Almost anything surviving from the 17th century or earlier is ‘Listed’, as are most buildings dating from before 1840. A later building may have been selected because of its architectural quality, because a noted architect designed it or because it’s associated with someone famous or some important event. Very old structures – such as mediaeval castles – may be classified as Ancient Monuments as well as being Listed Buildings. Not all Listed Buildings are actually buildings: many structures such as bridges or mile-posts are ‘Listed’ and unusual examples include the pedestrian crossing on Abbey Road, London, made famous by the Beatles. All Listed Buildings are graded according to their importance: in England and Wales, the grades are I, II* and II; in Scotland, the categories are A, B and C(S); and in Northern Ireland, they are A, B+, B1 and B2. An important consideration in determining the grade of ‘listing’ is the extent to which the building has been altered. However, the fact that a building is in disrepair or largely ruinous doesn’t directly affect the grading, if what is there is original. If a building is ‘Listed’, it’s a criminal offence to do anything to it that would affect its character or appearance unless you have first obtained Listed Building Consent. Owners can also be compelled to carry out repairs if the building is being seriously neglected. How does a building become ‘Listed’? Responsibility for ‘Listing’ lies with the relevant government minister but the process is administered by government agencies, namely English Heritage, Historic Scotland, Cadw (in Wales) and the Northern Ireland Environment Agency. Anyone can propose that a building be listed and, in an emergency, local authorities can serve what’s called a ‘Building Preservation Notice’ which gives temporary protection. There’s no formal appeal against ‘Listing’, but you can make representations to have a building’s listing reviewed or ended. You can also ask for a certificate stating that the building will not be ‘Listed’. <.p> What’s included in the ‘listing’? The whole building, including the interior, is included in the listing, even if not everything is mentioned in the official description of the building. Any attached outbuildings or original boundary walls will be included. So will such things as garden features or greenhouses, if they existed before 1 July 1948. How do I find out which buildings have been ‘Listed’? You can search the government agencies websites: there are links at the end of this article, or you might try this website for buildings in England, Wales or Scotland. Alternatively, contact the Conservation Officer at your local planning authority. Does all work on a Listed Building need Listed Building Consent? No. If (say) you are carrying out roof repairs and what you are doing doesn’t affect the character or appearance of the building (for example, because you are re-using the existing slates) you’re unlikely to need Listed Building Consent. However, if you are making any kind of alteration to the building that affects its character, or want to extend it or demolish any part of it, then Listed Building Consent will be needed. For example, you’d need consent for double glazing and you’d be very unlikely to get permission for, say, PVCu units; internal ‘secondary glazing’ might well be a better bet. In some cases, re-painting a front door might need consent, for example if the building was part of one of the Georgian terraces in cities like Bath or Edinburgh. The bottom line? Always check with the local planning authority, before you do anything, to ensure that you’re staying on the right side of the law. I’d like to put up a new garden shed or a conservatory. Will they need Listed Building Consent? If you want to build a new, free-standing building in the garden, it won’t need Listed Building Consent. However, it may need planning permission, depending on its size and position; and, if the site is within a Conservation Area, the usual ‘permitted development’ rights may not be available to you. If it does need planning permission, the planning authority is entitled to take into account the effect that it would have on the setting of the Listed Building. If you want to attach a new structure, such as a conservatory, to a Listed Building, you’ll certainly need Listed Building Consent. As with the shed, you might also need planning permission, depending on whether or not the conservatory falls within the usual ‘permitted development’ rules. I’ve fallen in love with a building that I’d like to buy and renovate, but how restricted will I be? The rules are there to protect the character and appearance of Listed Buildings, so any alterations will need to be very carefully considered. However, the fact that a building is ‘Listed’ doesn’t mean that alterations are out of the question. For example, a modern extension that is distinctly different from the original building, and is of good architectural quality in its own right, may be acceptable. If the interior of your building is original, you’ll probably want to keep it that way; on the other hand, if it’s been substantially altered, you may well be able to make carefully-considered changes; indeed, some office buildings in city centres have been completely reconstructed behind a ‘Listed’ facade. Alternatively, you might be able to restore the interior to its original state: for example, many a beautiful internal door was panelled with cheap hardboard in the 1960s and restoration is perfectly feasible. Careful detective work can reveal such details as original paint colours. But if you do decide to restore the building to its original appearance, it’s essential to get everything right for the age of the building. Beware of fake ‘period’ features that will simply destroy the building’s value. If I want to carry out work on a Listed Building, what must I do? The first step, if you own or are thinking of buying a Listed Building, must always be to talk through what you’d like to do with the Conservation Officer at the local planning office. He or she will usually have lots of experience of dealing with all kinds of proposals and may be able to suggest a way of achieving what you want in a way that would be acceptable. The Conservation Officer will also be able to explain the procedures that will apply to your project. If you needed Listed Building Consent, you would, in most cases, apply to your local planning authority. There is no fee for a Listed Building Consent application, though if you also need planning permission there will usually be a fee for that. The simpler applications may be determined within two to three months but more complex cases can take longer: allow plenty of time, and be prepared to come up with any additional details that the planning authority requests. If you’re making an application, you’ll need plans and drawings of excellent quality. They’ll need to stand up to scrutiny by the Conservation Officer and possibly staff at, say, English Heritage, not to mention the local amenity society in your area. It would be wise to employ an architect experienced in Listed Building work to advise you, to prepare everything and afterwards to make sure that the work is done in exactly the way that’s been permitted. Your location and block or site plans need to be of a high standard. The best way to ensure that is to buy them from an accredited Ordnance Survey supplier, for example via this website. Your local Council’s Conservation Officer can explain all the procedures, but if you’d like some more background on Listed Buildings, it’s worth having a look at the government agencies’ websites relating to England, Wales, Scotland and Northern Ireland. If you own land, and it isn’t already registered with the Land Registry in England and Wales, the Land Registry in Northern Ireland or the Land Registry of Scotland, you can apply to register it. When land is sold, the sale will also trigger an entry in the land registry if the property isn’t already registered. The land registers are a central record of who owns what. The land registry entry doesn’t replace or over-ride the plan that’s included in the title deeds. Although it is possible for anyone to register land, most people choose to use a solicitor to do the work, as it’s obviously important to ensure that the process is legally correct. As well as filling in the forms, you or your solicitor will need to provide a plan showing the land that is to be registered. It’s essential that the plan is an Ordnance Survey one, for accuracy and consistency. The scales used are normally 1:1,250 in urban areas (normally showing an area 200m x 200m) and 1:2,500 in rural areas (normally showing an area 400m x 400m). The area shown may, of course, have to be larger if you are registering a larger property. You must obtain your plan from a registered Ordnance Survey agent - and we can supply the land registry maps on this site. You can find out more about land registration from the national agencies in England and Wales, Scotland and Northern Ireland. What if the neighbours object to my planning application? All planning proposals involve change of some kind, but some have wider impacts than others. Clearly, a proposal for a new quarry or wind farm is always going to attract more interest than a new conservatory. The neighbouring owners around your site will be notified when you submit a planning application, but that shouldn’t be the first they hear of it. Even the smallest changes can provoke concern. That conservatory might, for instance, cause your neighbour to worry about privacy or overlooking and if it needs planning permission – not all small extensions do – then you might be faced with objections. Objections always slow down the planning process, because the planning department must consider them properly and that takes time. There may have to be a site meeting and the planning application might need to go before a planning committee rather than being dealt with by a planning officer, all of which slows progress. But it’s not just delay that can be a problem. Far worse is the possibility that your previously good relationship with your neighbour might be damaged, possibly for good. So, how can you reduce the possibility of objections? The first thing to do is to think through your project in terms of both your own needs and the likely impact on the surrounding properties. If you need an extension to provide more space, there will usually be more than one way of designing it; in some situations, making it longer and a little narrower, or moving it farther from your boundary, may make it more acceptable to the neighbours. If you’re building an industrial unit or office block, some designs will fit better into the landscape or townscape than others, and some site layouts will more effectively shield nearby properties from noise or disturbance. If you’re changing the use of an existing building, think about all the issues that might arise: for example, will there be more parking demand, or night-time activity? Even for small developments, it’s wise to employ a professional adviser, who (depending on the skills needed) might be a planner, architect, engineer or surveyor. They’ll be able to help you think through the options and decide which is likely to offer the best solution for your own needs, while also avoiding objections. Either you or your adviser should explore the proposal with your planning department before you get into detailed design. An important factor will be the extent to which your proposal complies with the development plan for the area. It’s wise to involve your neighbours as early as the circumstances allow. Ideally, you should share your thoughts with them before you’ve put any ideas down on paper, but you should certainly have a chat as soon as you have some sketch ideas. Explain to them why you want to carry out the project and make it clear that you want their honest opinion about it before you finalise anything. Invite them onto your site and talk the whole thing through. Always be absolutely honest about what you want to do. In particular, never understate the size of what you’re proposing: the last thing any of us likes is having the wool pulled over our eyes, and it’s a sure way to cause friction. If what you’re contemplating will have wider effects, for example noise or extra demand for parking, be clear about these and have your solutions ready. And, if the proposal changes as you develop your ideas, always be upfront and let the neighbours know. It’s also vital, when you submit your planning application, to ensure that everything you need is in place. Do the drawings accurately describe what you’re proposing? Have all the various declarations and certificates been signed? It’s particularly important that your planning maps are accurate and up-to-date. If, for example, they are of a small scale that’s hard to read, or omit recent development, they won’t inspire confidence. So, make sure you use good-quality, Ordnance Survey maps from a licensed supplier; it’s an investment, not a cost. In many cases, and especially if you’ve taken all these steps, the proposal won’t cause a problem. The neighbours will be reassured that you’ve consulted them right at the beginning and have taken their concerns on board. On the other hand, there are times when – however hard you try – you can’t please everyone. Your proposal may be a perfectly reasonable one but perhaps one or two objectors simply don’t want any change. However, your efforts to do everything right won’t be wasted, because at least you’ll be able to tell the planning department and the councillors that you really have tried to find an amicable solution. At that stage, you simply have to present your case as well as you can, respond constructively to the objectors’ points, and hope that the judgement goes in your favour. Trees are an important feature in the landscape or the townscape and of course are a valuable part of the local and global ecosystem. People care very much about them. So, if your development site includes trees, you’ll need to think carefully about how your proposal will affect them. Sometimes, trees are protected, either by a Tree Preservation Order or because they’re in a Conservation Area. Less commonly, they may be within a Site of Special Scientific Interest or have some other kind of protection: if that’s the case, your local planning department will be able to advise you about procedures. Even if the trees aren’t protected, the chances are that your neighbours and such bodies as your community or parish council, or the local amenity society, will take a close interest in what you’re proposing. The planning authority – usually, your local Council – will have policies in the local development plan that are intended to protect trees. In the end, if a site is to be developed, it may not be possible to avoid removing one or more trees, especially if there’s no other way of gaining access. However, you’ll need to demonstrate that your proposal is reasonable in the circumstances and that you’ve done everything you can to keep felling to the absolute minimum. You’ll probably be required to plant at least one new tree, somewhere on the site, for each tree that has to be removed. You’ll also need to consider whether the development may affect the trees that remain, which means ensuring that foundations, paths, pipe trenches and so on are placed where they won’t interfere with the trees’ root systems. There’s another aspect to this, too: you shouldn’t place development so close to trees that insurance companies become nervous about the risks to buildings. If your proposal wins planning approval, there will almost certainly be planning conditions to protect the remaining trees during construction. In particular, there will probably be a condition requiring that an area around each tree is fenced off before any activity begins, to avoid accidental damage to the tree or its roots. Accurate and up to date planning maps are needed for any planning application and that applies to proposals that affect trees. The trees should be plotted on an Ordnance Survey plan; a scale of 1/200 will probably be appropriate for many sites. It’s not unusual for the planning department to require a measured survey of the trees on your site, detailing the species and condition of each tree as well as its precise location. They may also decide that an expert opinion is needed to help them decide what should be permitted. Should you want to fell or lop a tree that’s covered by a Tree Preservation Order, or is within a Conservation Area, the same approach applies. Again, be sure to use a good-quality planning map at a suitably large scale and check all the measurements carefully. A little effort is obviously needed to protect trees, but it’s always worth it. Your neighbours and the wider community – not to mention the local wildlife - will really appreciate what you’ve done and, of course, a development with attractive trees and other landscaping is always more likely to appeal to buyers. Random post of the week! So just which cities are busiest when it comes to planning applications and purchasing planning maps? Which places are developing their businesses and houses and adding on extensions or undertaking major changes in this tough housing market? Not necessarily the cities you would think of. For example Norwich, despite being 36th largest in population terms is 3rd largest in terms of planning map purchases. Random additional fact: its population is also the largest user of eBay per head...perhaps the money made from the one is paying for the other! Check the map below for the full results. When should I use a 1:2500 scale map? Now that we’ve introduced planning application maps at a scale of 1:2500, you may be wondering when it would be appropriate to use one of these instead of, typically, the 1:1250 map that’s often requested. Because the 1:2500 scale shows more of the area around your proposed development than a 1:1250 scale plan would, there are a couple of situations where it may be particularly useful. Firstly, if your application site is very large, or if you want to show (say) farmland adjacent to the application site which you also own, a 1:2500 map will probably be the best solution. Secondly, if your proposal is situated in a very rural area, where there is very little development of any kind, a plan at 1:2500 will help both the planning officer and any consultees, simply because it will show more of the recognisable features in the landscape – like roads, railways or tree plantations. Everyone will find it much easier to identify the site; and that’s important, because if your proposals are really clear, the risk of confusion and uncertainty will be much lower and the likelihood of objections may be reduced, too. Good planning application maps really can help speed your proposal through the system. We're really please to announce that the 1:2500 scale maps are now available via our site. We introduced this to cater for those customers with large properties in particular for those with plots of land e.g. farms. The 1:2500 scale still fits onto A4 size and can be previewed, marked up with a red or blue line on the site and then downloaded in about 3 minutes. By simplifying the whole ordering process we think we've made the planning application process that little bit less stressful. This is backed up by the fact that 95% of our customers would recommend us to a friend or colleague, a ringing endorsement we feel! Why can’t I get hold of a planning officer? These days, that’s a complaint that’s increasingly common. There was a time, in many parts of the country, when you could stroll into your local planning office, ask at reception and be sitting down with a helpful planning officer within a couple of minutes. But times have changed. The pressures on planning departments and planning staff have become acute. Posts have been cut in many parts of the country and – despite the recession – the workload may not have shrunk to match. In fact, the increasing complexity of the process has often made life more difficult for both applicants and planning officers. Sometimes, ironically, attempts to simplify the system have merely made it harder to understand. In England, for example, the government’s new regulations are meant to encourage economic development by allowing people to build bigger extensions, but the mechanism involves a procedure that’s very similar to a conventional planning application, involving the submission of details, drawings and a site plan, accompanied by a duty on the Council to notify neighbours. Given that super-sized extensions may well provoke more neighbour objections, the outcome of this ‘simplification’ is a process that may not, overall, make any tangible difference. In the face of financial pressures, stricter time management has become a necessity in the average planning office. That has meant that many departments have introduced limits on the times when planning officers are available to meet the public. Some may restrict access to, say, 11am until 3pm, but will guarantee that a duty officer will be available during that period. Others have an appointments system, so you cannot simply turn up and hope to see someone. There’s been another change, too. Whereas planning advice used to be free everywhere, some hard-pressed councils are now charging fees for the advice they provide. One London council, for example, charges between £370 and £475 to provide the simplest level of advice about a home extension, and if you want them to visit the site for a discussion the cost can rise to between £440 and £800. Bear in mind, too, that whatever advice is given won’t bind the planning authority when it comes to make a decision on your proposal. Check out the planning department’s website. They usually have really useful information about the whole planning process and clear advice about how to approach the department. Consider getting professional help. Yes, employing an architect or a planning consultant may look expensive, but the time and frustration saved can make it well worth it. This certainly applies in the case of larger projects, but it can also be true of smaller jobs such as extensions or new driveways, because professionals do know their way around the system and really can smooth the path. This may seem like a lot of work and expense, but if your project needs permission, you need to do the groundwork. Planning officers are, by and large, helpful. Their job is to work on behalf of all of us to manage development in the best interests of the community. They often have ideas or insights that can be really helpful in developing your project. So, it does help to adopt a friendly approach, work with them and listen to their advice. It may be harder to make contact than it once was, but it’s worth persevering. We're really please to announce the 1:2500 scale maps are now available via our site www.BuyAPlan.co.uk. We introduced this to cater for those customers with large properties in particular for those with plots of land e.g. farms. The 1:2500 scale still fits onto A4 size and can be previewed, marked up with a red or blue line on the site and then downloaded in about 3 minutes. By simplifying the whole ordering process we think we've made the planning application process that little bit less stressful. This is backed up by the fact that 95% of our customers would recommend us to a friend or colleague, a ringing endorsement we feel! Go here for your 1:2500 scale map. The process of applying for planning permission inevitably involves some form-filling and you may well also become involved in discussions with your local planning officer. If you’ve never applied for planning permission before, some of the terms you’ll come across may be unfamiliar, so here’s our glossary to help you. However, some activities are specifically excluded from the definition of development, for example the ploughing of fields by a farmer. Some operations or changes of use, although they count as development, are automatically permitted by government regulations. For example, many walls and fences and some house extensions don’t need planning permission, depending on where they are situated and how large they are. Unless you’re absolutely sure that what you’re doing is permitted development, you should check with the Planning Department. Planning Departments have a section that deals with planning applications and it will usually be known as the Development Management or Development Control section, sometimes shortened to DC. Development Management is the newer term. Usually, there will also be sections dealing with Development Plans and Conservation. When a planning officer or the planning committee is deciding whether planning permission ought to be granted, there are some things which they need to take into account and some things which they shouldn’t consider. For example, the policies in the Development Plan will always be part of the discussion. On the other hand, they can’t take into account the background of the applicant. The things they can legitimately consider – like the development plan – are material considerations. • Outline planning permission (or Planning Permission in Principle): this kind of planning application is intended only to establish the principle of development on a site. Typically, the developer will only need to submit a location plan and site or block plan, together with the application form. This approach allows the applicant to avoid incurring the cost of preparing detailed drawings until the acceptability of the development, in principle, is established. • Reserved matters or ‘Approval of matters specified in conditions’: if you have been successful in obtaining outline permission, or permission in principle, there will be several conditions attached to the permission. For example, you’ll have to provide detailed drawings of any buildings and landscaping. The details that haven’t been submitted for approval and are mentioned in the conditions are known as ‘reserved matters’. • Full planning permission: if you submit all the details of your development in one go, it’s called a full application. However, the Planning Authority may still decide to attach conditions to control how the work is done (such as prohibiting overnight construction). It’s possible that they may also require some further detailed plans or specifications, in which case you may have to submit a further application for these reserved matters. An application for the change of use of land or a building is normally regarded as an application for full planning permission, whether or not any construction work is involved. • Conservation Area Consent: this is required if you want to demolish a building, or a part of a building, in a Conservation Area. • Listed Building Consent: this is needed if you want to alter a Listed Building in any way that (in the opinion of the Planning Authority) would affect its structure, character or appearance. In any case such as this, or in relation to Conservation Area Consent. it’s essential to discuss what you have in mind with the Council’s Conservation Officer at the earliest stage. • Advertisement Consent: this is needed for signs and other forms of advertising. Again, some kinds of sign or advertisement are automatically permitted, but it’s always sensible to check. • Change of use: If you want to change the use of land, or a building, then you may need to apply for planning permission. Once again, some changes of use are normally permitted automatically. The Use Classes Order sets out several different classes of use and if your proposed use falls into the same class as the building’s present use, you won’t usually need permission. If your proposed use is in a different use class, you’ll almost certainly need permission. Either way, it’s best to check. • Delegated decision: You may hear the planning officer refer to a decision being ‘delegated’. The Council, as Planning Authority, can delegate many decisions to a sub-committee or to the Planning Officer. This speeds things up and avoids the full Council having to deliberate on every planning application. • A location plan. This shows everyone exactly where the proposed development is to take place. It’s usually at a scale of ! :2500 or 1:1250 but in rural areas might, for clarity, need to be at 1:5,000 or 1:10,000. • A block plan. This shows the site and its immediate surroundings in detail. It might be at a scale of 1:500 or 1:200. Depending on the nature of the development, a 1:200 plan may be adequate as both block plan and site plan. • A site plan: if a larger scale is needed to show detail within the site, you may need a site plan as well as a block plan. A site plan might be at a scale of 1:100. It’s impossible to overstate the need for good, clear plans. Inadequate plans are one of the major reasons for delays in the planning process and can cause unnecessary anxiety on the part of neighbours, provoking objections. Do I still need to submit paper copies of my plans? If you live in England, Wales or Scotland, you can submit planning applications, including plans and drawings, either on paper at your local Planning Department or electronically via the relevant Planning Portal. If you live in England and Wales, you can start your planning application by going to the UK government’s application page, where you’ll need to register. If you live in Scotland, the Scottish Government provides a similar service. You can register and log in to the site on this e-Planning Scotland page. In Northern Ireland, there is so far no facility to submit planning applications electronically. Full instructions on how to make an application are, however, given on the Northern Ireland Planning Portal. Whether you submit the application on paper or digitally, the plans you include must be of good quality and, if they are Ordnance Survey plans, they must be legitimate copies from a licensed Ordnance Survey supplier, such as us.